I've got a sweet, CAS card up on the Butterfly Reflections Ink Blog as a guest designer, and would love for you to stop by and see the full card! I'm featuring a bunch of products from My Favorite Things... aren't these two the sweetest? Aww this card is so cute. I love the dogs and your coloring. the background is awesome. 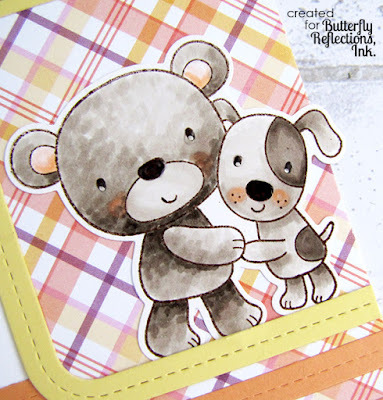 Love those sweet little pair and the colors are wonderful!